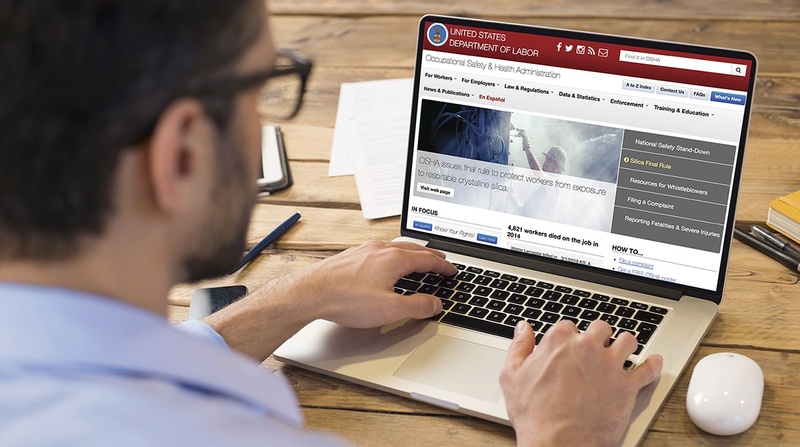 The Occupational Safety and Health Administration has always been serious about urging employers to track and report workplace injuries and illnesses. However, on April 29, 2016, the agency issued a final rule aimed to keep workers safer around the country by improving current recordkeeping requirements. What should employers know about the final rule? The rule, which took effect Jan. 1, 2017, mandates that certain companies and employers electronically submit injury and illness data to OSHA. After submission, some of this data will be posted on the OSHA website for the general public to see. The amount of data that employers must disclose will vary depending on the size of their organization and their industry. The OSHA reporting website was scheduled to go live in Feb. 2017, but the launch of the site has since been delayed. "OSHA recently released its technical specifications for the injury tracking CSV submission process." This rule affects two different groups of employers, with the first being establishments with 250 or more employees. It also impacts certain companies with 20-249 employees that operate in industries that have historically higher rates of injuries and illnesses on the job, such as construction, utility and automobile work. Employers with 250 or more employees and who are covered under this final rule must electronically submit data from their OSHA Forms 300, 300A and 301. Companies with less than 250 workers must only release information from their OSHA Form 300A. The reporting requirements will roll out over the next two years. Regarding the submission process, OSHA has provided three different options for employers. For the first, users will manually enter their data into a web form provided by OSHA. For the second, they will upload a CSV file that will submit their data into OSHA's system. Finally, companies that use automated recordkeeping systems will be able to submit their data electronically with an application programming interface (API). The first submission deadline is slated for July 1, 2017. However, OSHA has publicly announced that the agency intends to propose extending the July 1, 2017 submission deadline. When contacted in April, a representative of OSHA’s Department of Communications indicated that the agency may move this submission deadline to the end of the 2017 year. Employers who use recordkeeping software will have the option to submit their data with an API or use recordkeeping software to generate a CSV file to submit to OSHA. To assist users, OSHA recently released its technical specifications for its CSV file upload process. The agency's guide defines all fields and formats for what is required to transmit data to OSHA. It also goes into detail regarding how to handle these data submissions. These technical specifications have allowed the IndustrySafe safety software team to update our software accordingly so that our customers can use IndustrySafe to generate a CSV file of incident data to submit to OSHA. Contact us today to learn more about our OSHA recordkeeping software and how you can properly maintain and prepare your recordkeeping data with IndustrySafe. Visit our website for more information.